Scientific studies show that untreated hearing loss can increase a person’s risk of developing dementia by 200-500 percent depending on the severity. However, treating the condition in the right manner can successfully prevent this issue from occurring. At Advanced Hearing Care, our team of experienced and friendly hearing instrument specialists are fully committed to helping you overcome that problem while also enjoying the benefits of better hearing. Why does hearing loss increase the risk of dementia? According to Brain Test findings, one in 10 American males over the age of 55 will develop dementia at some stage while that figure climbs to one in six for women. While there are many variations experienced with the disease, hearing loss is shown to be among the most common reasons behind the cognitive disorder. Hearing loss affects a person’s life in many ways, and it’s very easy to underestimate quite how significant those impacts can be. First of all, when the ear struggles to decipher sounds or follow conversations, the brain is forced to work harder than ever. Given that this is an ongoing problem, the general wear and tear will slowly but surely take its toll. Other issues can include the development of social isolation. The inability to interact and communicate in the desired fashion can quickly encourage sufferers to give up on those activities altogether. This subsequently leaves the brain in a far less active state, which can also contribute to the onset or acceleration of Alzheimer’s and other forms of dementia. Ultimately, problems related to the connection between ear and brain cause a lot of stress and strain, leading to a significant increase of danger. 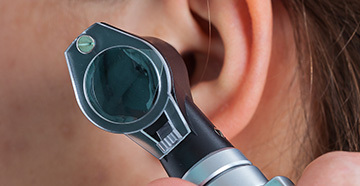 Whether your hearing loss is mild or severe, getting checked over by a hearing care provider is the only way to truly find the right treatment for your specific case. Advanced Hearing Care is the perfect place to make that happen. Hearing aids are the most common solution as they utilize various technologies to not only improve hearing, but to also focus on the right sounds and combat background noise. 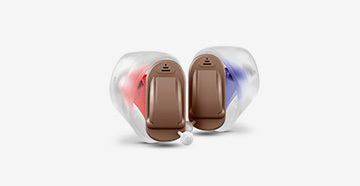 With a host of styles and technologies to choose from, your hearing instrument specialist will have no problem finding the best solution designed to enhance your immediate future and combat those long-term problems in one fell swoop. Whether it’s BrainHearing technology or traditional BTE devices, tending to those hearing loss problems is the best form of protection against the most common source of dementia. And with a variety of technology to choose from, the professionals at Advanced Hearing Care have the knowledge and products needed to help you hear better. From identifying the problem to discussing the options and fitting any necessary devices, Advanced Hearing Care is the only service you’ll ever need. Take the first step today by calling our office and scheduling an appointment with one of our caring professionals!